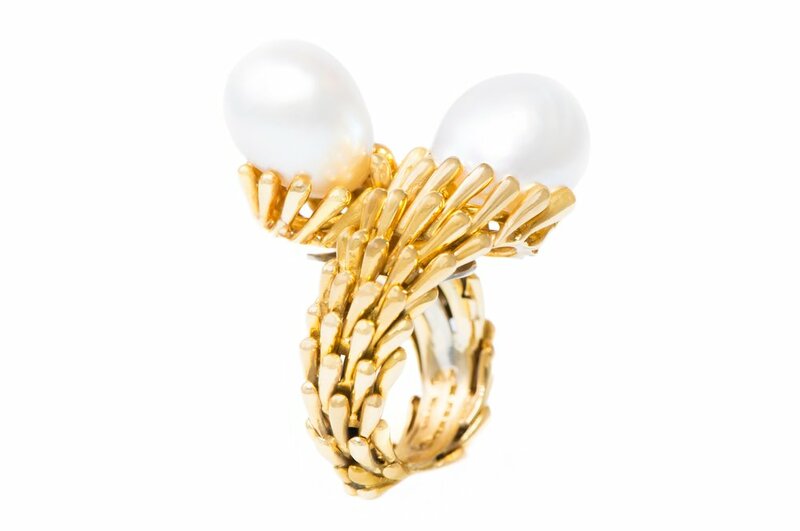 Three rings this month celebrate the toi et moi style. Literally translated as “you and me,” the design is characterized by two like elements that wrap, or cradle, one another. The most famous example is the sapphire and diamond toi et moi that Napoleon gave to Josephine in 1796; in our own age, an emerald and diamond toi et moi from Van Cleef & Arpels caught the country’s attention when given in 1953 by then-Senator John Kennedy to his fiancée Jacqueline Bouvier. 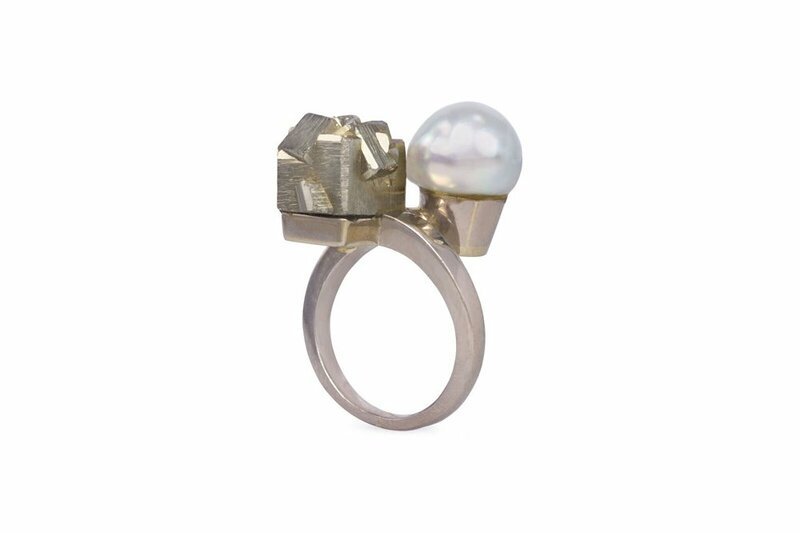 A ring of pearl, pyrite, and 18k grey gold, Claude de Muzac, France, c. 1970. Size 5½"